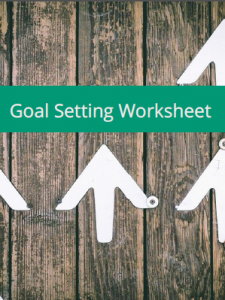 Get Your Goal Setting Worksheet Now! To help address the tendency many of us have to plan rather than taking action, and the constant need leaders have to both set goals and solve problems, I have developed a little goal-setting worksheet or template to help me quickly clarify my thinking and move toward action. This tool draws from the best goal-setting principles I have learned over the years and applies equally well to small projects, like planning an event, to larger personal and organizational issues like writing a book, starting a business or developing a staff team. It helps move me from goal-setting to goal achieving! Grab a copy, take a look, work through it in relation to a current goal or problem you are facing. Be sure to let me know how it works for you! Why do you even want to achieve this goal? What interim steps, or micro-goals, will help you get there? What can you do right now, today, to move toward your goals?